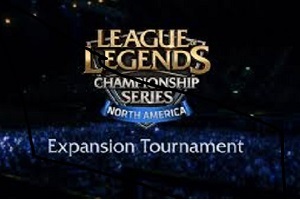 Over this weekend I aggressively recorded some stats on the 4 Mid Laners that have reached the semi-final stage of the NA Expansion Tournament. Over this weekend I aggressively recorded some stats on the 4 Mid Laners that have reached the semi-final stage of the NA Expansion Tournament. Some of these stats and comparisons are kind of arbitrary but I think its still interesting nonetheless. Next to some of the stats are (x) which ranks the players’ performance compared to the rest ( with 1 being the best and 4 being the not best). I may do something similar in future events and let me know on what else I could add. Additionally Keane had a 75% kill participation on both Hecarim games, whilst only an average of 60.6% on his other champions. Gate had the lowest KDA in an individual match, ending a game with a score of 1/7/0 (0.14 KDA) against Team Coast. Although Huhi had significantly more bans targeted towards him than the other mid laners, it still pales in comparison to Faker’s ban rate in OGN Champions Winter 2013 where 64.4% of all bans in 15 games were aimed at him.